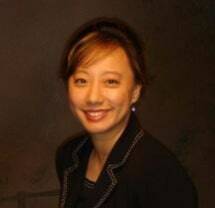 Cynthia Cho is the founder of the CC Law Group and its principal attorney. Cynthia has built her reputation as a highly successful attorney by being not only an excellent lawyer, but also a hands-on and compassionate advocate for her clients. She does not confine herself to consultations and conference room strategies, but is a highly experienced courtroom lawyer as well, championing her clients' cases from start to finish, as she guides them through the often-overwhelming maze of the ever-changing legal process. Cynthia has been practicing law in the Alameda/Contra Costa/Santa Clara/San Mateo Counties area for over 23 years and is well known and respected within the local legal community. And as a local attorney, she is intimately familiar not only with State and local laws, but the inner-workings of the local judicial system, and the legal clerks, lawyers and judges that make the system work. Cynthia is multi-lingual, and together with her CC Law Group staff can assist you in a variety of languages including: English, Korean, and some Spanish. Cynthia is a graduate of U.C. Berkeley (1989) and received her Law Degree from the University of San Francisco Law School in 1993. She was admitted to the California Bar in 1994.